Opel and Vauxhall could look towards PSA Group retailers to sell cars across Europe as the brand looks to a future of more lucrative sales and reduced pre-registration. Following a statement on the brands’ PACE! 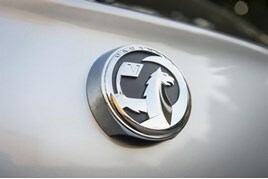 strategy in which Opel and Vauxhall spelled out how it planned to avoid plant closures by returning to profitability with a 2% operating margin by 2020 and 6% by 2026, details have begun to emerge of changes to the dealer networks. In an interview with German automotive publication Automobilwoche Opel’s sales and marketing chief, Peter Kuespert, revealed that while dealers will remain "our central interface to the customer", wide ranging variations in performance could not be ignored. The spokesman said that the brands would look to move away from a model which saw incentives for quantity rather than quality of business, suggesting that a change in mindset would be needed to drive the sale of more valuable products. Options to utilize PSA’s existing dealer network for the sale of its vehicles would be looked at where Opel and Vauxhall suffered from a poor geographical positioning, the spokesman added. A Vauxhall spokesman told AM that the brand was unable to comment on the content of the report, but added that it would be consulting with UK dealers at a meeting next week. He said: "In the meantime our plan focuses on helping dealers improve their performance, with particular emphasis on customer care, which will be a key element of our dealers’ appraisal in future. In addition, we will be strengthening the importance of our LCV business to the network." Opel and Vauxhall were bought from former owner General Motors by PSA Group in a £1.9 billion acquisition finalised in August. Last week is revealed details of its PACE! strategy which aims to return the brands to profitability. It revealed that it would launch nine new models by 2020 and all its vehicles would be offered with a hybrid or fully electric drivetrain by 2024 as is aims to move towards a lower break-even point of 800,000 vehicles per year. Plant closures will not be necessary according to the plan which will aim to cut €1.1bn by 2020 and €1.7bn by 2026 but a statement said that there would be “necessary and unavoidable” cuts to labour. Vauxhall Ellesmere Port needs a good shake up.98% of supervisors/managers have come through the ranks.One minute putting bits on a car,then maybe the next month production engineering manager or head kiazan engineer.When you look at their hand writing it would blend in at primary school.These people will be found out soon.Need top people in.